The first Harry Potter Page to Screen book was released back in 2011 by HarperCollins Publishers. The new upcoming revised & expanded edition features more pages devoted to the Harry Potter films. In addition to that, the book also explores the theme parks in Florida, California and Japan, the sets and props in Leavesden Studios and the House of MinaLima. It also features reflections from the cast and crew on the end of the film series and much more. Harry Potter Page to Screen: Updated edition by Bob McCabe will be released on 13th November 2018 (US, UK and NL) and will contain 540 pages. You can pre-order now. 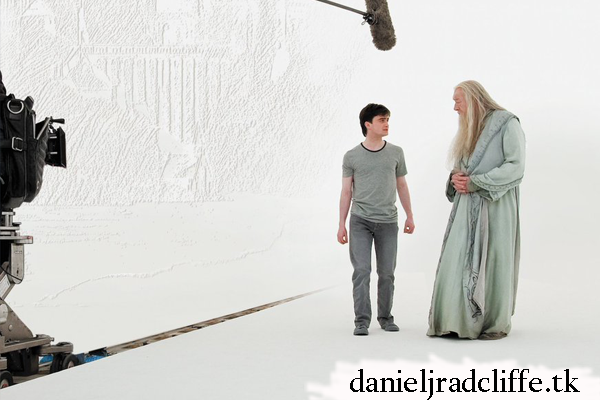 Daniel Radcliffe and his personal narrative from set to set is used as the life line that connects all aspects of this memoir, giving structure to the many voices of the Harry Potter family who orate this tale. All of the movies were filmed at the Leavesden Studio in Hertfordshire, England and these pages describe how the Leavesden family dealt with numerous cast, crew, and production dramas, replacements, technical difficulties and countless narrative and visual decisions (HarperCollins).